You Don’t Have Time? Make Time! 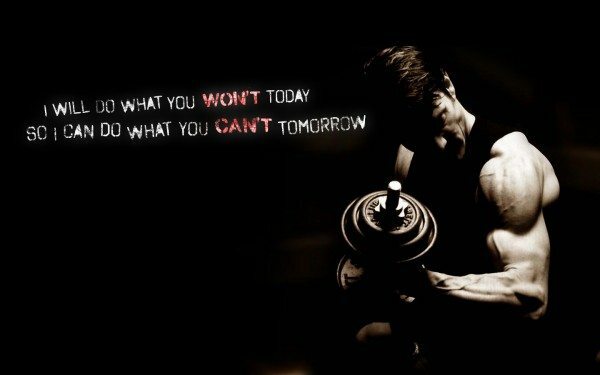 Bodybuilding Motivation: You Can Do It! Does this scenario sound familiar? On New Year’s Day, you make a resolution to start going to the gym five days a week, training hard and building the body you have always wanted. By the time summer comes, you want to have a beach body that will have hot girls swooning at your feet. During the first week, you are highly motivated, and look forward to every gym session. By the second week, the novelty has worn off a bit, but you manage to keep up the routine. In the third week, you discover your mates are going on a night out that you don’t want to miss, so you skip just one workout session. Then the next day, you wake up with a hangover, and you don’t really feel like working out. So you figure that seeing as you missed one workout session, you might as well skip today and start serious training again next week. But by the time next week rolls around, you have got used to being a couch potato again, and you postpone your workout. You promise yourself that you will start again in earnest on February 1. But of course, you don’t. Somehow going to the gym and working out for a solid hour or more doesn’t sound like as much fun as having a few beers with your mates and watching TV. Believe in yourself and you can conquer any obstacles in your path. You probably keep paying your gym membership for many months, because you really, really mean to get there one day – but somehow you never do. When summer comes along and it is time to show off your fantastic muscles on the beach, you have a problem. Your muscles are not as fabulous as you had predicted. The hot girls are swooning at the feet of some other guy further down the beach. Hmmm…we have all been there, right? So what can we do about it? If you are going to succeed as a bodybuilder, you need to understand that working on your bodybuilding motivation is just as important as working on your training and nutrition. Motivation is one of the key pillars that separate the serious bodybuilders from the mere hopefuls. When it comes to getting motivated, we have a lot of problems to contend with. First of all, as humans we are designed to conserve energy. Our cave-dwelling ancestors struggled to find food, so energy was a scarce resource. They couldn’t afford to waste it doing exercise without good reason. So to put it simply, we are designed to be lazy so that we conserve precious calories. That was a great plan thousands of years ago – but not so great in the modern world. Most of us – especially bodybuilders – need to reduce fat and build muscle. That means we are consciously deciding to do workouts that our subconscious thinks are a bad idea. But that’s not all. In today’s world we have to fight against all kinds of distractions to find time to go to the gym. As well as work and family commitments, we have to make time for doing jobs around the house, going to social engagements and being involved in special interests. On top of all that, there is always the temptation to skip a workout and doing something easier instead – like watching a movie, playing computer games or spending the evening in a bar with your mates. So getting workouts done is not simply a matter of making a mental commitment. You need to build up a whole system of motivations and systems to keep you on track. Let’s look at how you can achieve this. Bodybuilding is a long-term commitment. You can’t just work out for a few months, build some muscle and then forget about it. You are talking about workouts becoming an everyday part of your life for many years to come. ​Therefore it is essential that you plan workouts into your day, in the same way as you plan in other essential tasks such as going to work. After all, you wouldn’t say to your boss, ‘oh, I didn’t feel like coming to work this week. I might start again next Monday…but then again, maybe not.’ You know very well that work is a commitment you can’t shrug off when you feel like it. So you plan it into your weekly routine, and organize other commitments around it. Do the same with your workouts. Consider them mandatory items that cannot be postponed, moved around or canceled. Put them in your diary, and don’t let anyone interfere with your schedule. If some other commitment comes up, ask yourself ‘would I take a day off work to do this?’ If the answer is ‘no’ then you should not cancel a workout for it either. One of the biggest excuses people use for avoiding workouts is that they don’t have the time. It is true that we all live very busy lives nowadays, but it is nearly always possible to find dead time in your schedule that could be used more productively. To see just how true this is, try keeping a diary for a week, noting down all the time you spend on non-productive activities. These non-productive activities might include chatting to friends online, checking Facebook, playing computer games, watching TV, drinking in a bar or watching funny cat videos on YouTube. If you do this for a whole week and honestly mark down the time spent on such activities, you will probably be amazed at how much time you are wasting. This time could be much more usefully be spent in the gym, improving your health and building your body. If you are going to achieve long-term success as a bodybuilder, you are going to need a long-term goal – one that really means something to you. If you start working out just because your girlfriend wants you to, or because all your mates are doing it, then you are likely to run out of motivation very quickly. Your workout motivation needs to come from within. There must be a burning desire to achieve something meaningful –otherwise, how can you seriously expect to put in hundreds – or even thousands – of hours working out at the gym? So work out what is driving you, and write it down. Perhaps your goal is to compete in a local bodybuilding competition. Maybe you just want to look good when you strip down to your trunks at the beach. It doesn’t matter what the goal is – as long as it is important to you. Better still, tell all your friends and family about your goal. With other people to hold you to account, it will be much harder for you to give up before you hit your target. They say that if you stick at something for 30 days, it becomes a habit – then it is much easier to keep going for the long term. So create a regular routine that makes it easy for you to stick to the plan. If you work out in the mornings, for example, try to get into the habit of going to bed and waking up at the same time every day – ideally seven days a week. Your body clock soon adapts to the rhythm, and you will find that you fall asleep easily, and then wake up refreshed a minute or so before your alarm clock goes off. Before going to bed, prepare everything for your morning workout. Get your clothes ready, make up a protein shake and put it in the fridge, and organize anything else you may need. Then when you wake up in the morning, put your workout clothes on right away to get you into the fitness mood. Another idea is to try an organized training regime, such as Kris Gethin's 12-Week Workout Program. This will force you to follow the rules without cheating. Do your friends spend most of their evenings playing Call of Duty while munching on pizza and guzzling beer? If so, you might want to think about spending less time with them, and finding some new friends to socialize with. Keeping the wrong company is inevitably going to result in you being tempted to skip your workouts and order an extra pizza for yourself. You may be able to strike up some new friendships at the gym – people who are motivated and who have similar fitness and bodybuilding goals as you. You can also find like-minded people through networks such as Meetup.com. If you find yourself some highly-motivated, bodybuilding friends, it will definitely motivate you – even if it is just so that you can keep up! Better still, ask one of your new friends to become your workout buddy. Training in pairs has many advantages. You can spot for each other, and you push each other to greater achievements. And if you feel like having a lazy morning in bed, your workout buddy can come around and hammer on your door until you get up and head for the gym. Arnold Schwarzenegger and Franco Columbo were long-time training partners back in the 1970s. It is probably no co-incidence that they both went on to become Mr. Olympia champions. In the early stages of your bodybuilding career, motivation is easier to come by. The whole concept of building your body is still fresh and exciting, and you are probably seeing the rewards in terms of growing muscle mass every month. But after a while, things inevitably get tougher. The workouts that were once fun become tedious, and at some stage you will hit a plateau, where building muscle gets harder and harder. Many people come to the gym, get into a certain workout routine and never vary it. This is a bad idea for several reasons. 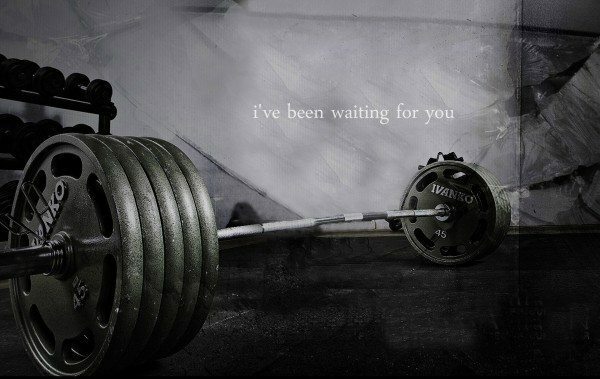 For one thing, you will soon get bored of doing the same thing every time you come to the gym. ​But that’s not all. Your body also adjusts to a certain routine after a while, which means that you stop seeing improvement and muscle growth. So to keep things interesting for both your brain and your body, change up your routine every few weeks. You can adjust the mix of free weight and resistance machine exercises, change the order in which you work out your muscles, or vary the number of sets and reps. Even altering the time of day that you work out can be a refreshing change. If you keep changing the challenge, your body will respond and your brain will remain invigorated. They say that the best way to eat an elephant is one bite at a time, and the same process applies to bodybuilding. No, that doesn’t mean you should include elephant in your diet as a protein source – it means that you should break your big plan down into a series of small goals. Your short-term plan might be to complete 30 workouts, or to drop your body fat percentage by a certain figure. These goals should be big enough to be worth working for, yet small enough to be attainable within a few weeks. ​Allow yourself a small reward for hitting them, such as a day out to a ball game. Then when you are working towards this goal, you have something to focus on. When you finally achieve your goal, the reward will feel ten times better because you will have really earned it. Sometimes bodybuilders become so obsessed with getting all the right nutrients, they forget that eating is supposed to be fun, too. If you eat nothing but protein shakes, chicken breasts and peanut butter, you will soon get bored of your diet. ​That’s when the Snickers bars in the gas station become just too appealing, and you find yourself stuffing yourself silly with chocolatey-calories. However, a bodybuilding diet doesn’t have to be all shakes and supplements. There are lots of fantastic foods that offer great proteins, carbs and all the other nutrients you need. ​Cooking and eating your meals can be fun, yet still be very healthy. It is important to get the balance right, to keep yourself motivated to stick to the plan. Don’t be afraid to allow yourself a treat now and again. Pick one day of the week – let’s say, Saturday – when you are allowed to have one or two treats that are forbidden on other days. If you have those weekly treats to look forward to, you are more likely to stick to the plan for the rest of the week. Because bodybuilding is a slow process, it is easy to get frustrated. When you look in the mirror and check your biceps, you may be disappointed to see that they look pretty much the same as last week. But if you are training regularly, and doing the right workouts, progress is inevitable – you just can’t see it! So it is important to track your progress and see how things are moving along. You can use one of the many workout apps that are now available, or you simply use an old-fashioned training diary. ​When you look back after a couple of months, you will be amazed to see how much you have improved. Weights that seemed impossible eight weeks ago will probably seem easy now. A little research with your favorite search engine will turn up a ton of gym motivational quotes, fitness motivational posters and other ideas that can help your bodybuilding motivation. Print off some of your favorites and stick them on your bedroom wall, or stick Post-It pads on your bathroom mirror. Seeing these inspirational messages every day can you give you the extra ounce of motivation you need to keep moving forward. Watching bodybuilding motivational videos on YouTube can also inspire you. Even with all the above ideas to help you, it is possible – even likely – that you will fall off the wagon at some point. Maybe one slice of cheesecake at a party led to another, and before you knew it, you had scoffed almost everything on the table. ​Perhaps you got a dose of the flu and had to miss a few workouts, and now lying in bed watching TV seems like more fun than bench pressing. Whatever happened to derail you, don’t let it continue. When someone falls off a horse, they say it’s best to get back on and ride right away, before fear of riding sets in. The same principle applies to workout motivation. ​Don’t think to yourself ‘oh, well, I’ve blown it now…I might as well give up.’ Instead, get right back to the gym at the next available opportunity. Even if you only do a ten-minute workout and go home, you will have re-established your routine. Working out is hard, and reaching a significant bodybuilding goal is even harder. But if you use the right motivational tactics to help you, you can achieve amazing things. Just remember that no-one can do this for you. Only you can find the desire, the bodybuilding motivation and the will to build a healthy and muscular body.